The purchase of a violin at any price level is a critical moment. Whether a student or principal concert violinist, how and where you buy the instrument is important. 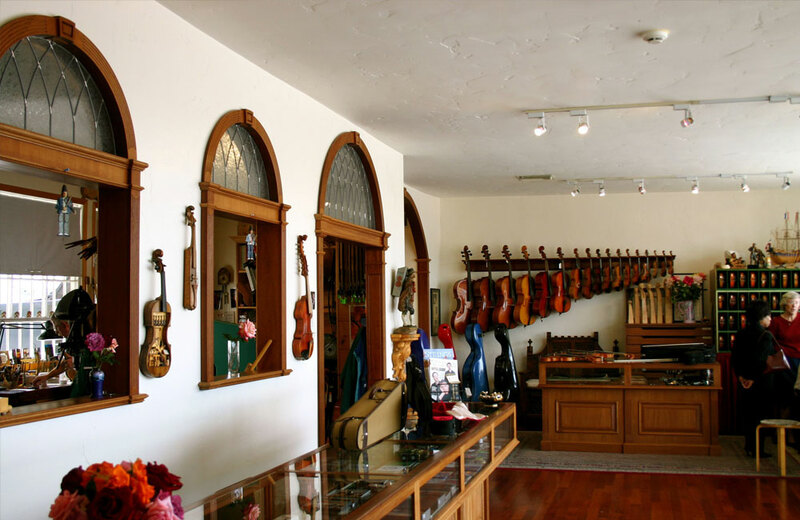 In California alone there are more than 30 specialty violin shops, and across the U.S. there are several hundred more. Anyone looking to purchase a stringed instrument can also go online (Craigslist and eBay) to buy violins, cellos or violas, as well as the bows needed to play each instrument. So where would someone in, say, the Los Angeles area go to purchase a fine musical instrument – or for that matter, in smaller cities and towns across the globe? The Internet has made the task of a serious musician finding a fine instrument much simpler. But experienced instrumentalists know that strings need to be replaced while instruments themselves always need to be maintained – especially when they are being used often by avid players. Regardless of the type of music one might prefer – classical, jazz, bluegrass, perhaps Roma or Persian – regular service will be necessary. Seasoned violinmakers and dealers stress that a connection to a brick-and-mortar violin shop will ensure better quality service and repairs. “It helps to do some due diligence before you come into the shop,” says Eric Benning, a violinmaker and proprietor of his family business, Benning Violins in Los Angeles, California. “Know your approximate price point, if possible. Some shops specialize in beginner instruments at a lower cost. Others deal in the higher end exclusively.” Benning says his store has a broad range of instruments for players of all levels, in part because it enables his shop to establish a long-term relationship with customers. There are obvious benefits to making the purchase from a professional shop. A purchase from a violinmaker/dealer with an established retail presence is more likely to offer the musician a touchstone for all future repair work and instrument upgrades. A dealer or seller on Internet sites without a brick-and-mortar store could disappear five minutes after your check is cashed or your credit card charged. As the price of the instrument increases, the buyer should be asking more and more questions about the instrument they are considering for purchase. They want some proof of authenticity of origin, which can be documented on more pricey instruments. They also may want to see repair reports as well as the provenance of a violin, “if it has had a ‘well-known’ owner in the past,” says Benning. The in-store dealers should be familiar with the instruments. Ideally, they are musicians themselves and understand what musicians may need, which is often determined by the style of music and setting in which they play. But at some point, the dealer needs to step back and allow the musician his or her own analysis of the instrument.